But he's been incredibly supportive and interested in reading some of the same books as me to help prepare ourselves for the arrival of Miss Madison. Some of the books I would mark passages to read him and others he read completely and we discussed together our thoughts. I've truly enjoyed this new way of bonding that we hadn't ever experienced before. I value Jason's opinions incredibly so it's been a huge blessing to talk about our parenting strategy and feed off of one another's thoughts. Everyone is going to have different opinions about what should/shouldn't be done when parenting. (Read this exhausted new mom's hilarious perspective on advice.) Here is our two-cents on the top ones we would recommend. 1.5 Mayo Clinic Guide to Healthy Pregnancy - I didn't honestly use this book much as a resource since I got really lucky and have had a fabulous and basically symptom-free pregnancy. However, it includes monthly updates that tell you what things you may or may not notice during that time in your pregnancy and I found that interesting. It also had recommendations for what to be concerned about and when to call your doctor throughout the pregnancy. Fortunately, we never had to refer to any of those sections, but it was good information. 2. 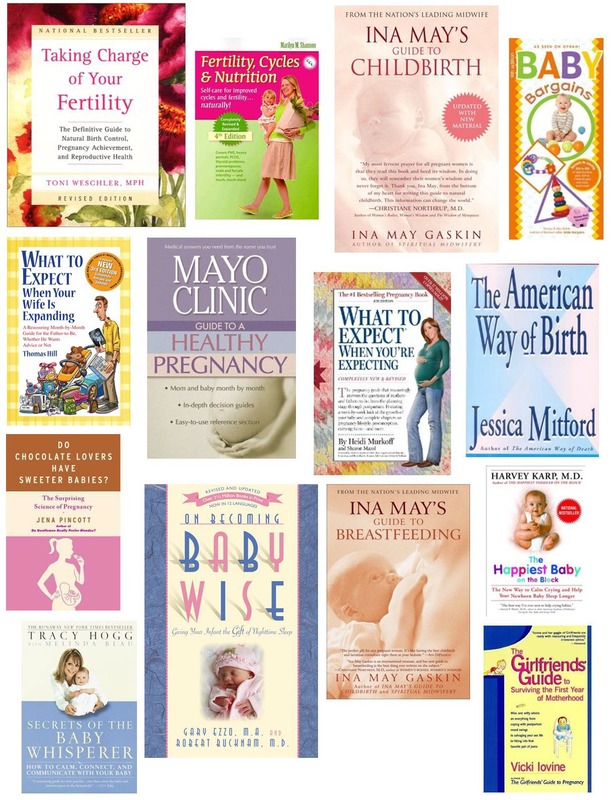 Ina May's Guide to Childbirth - this is one where I just marked select passages for Jason to read. The first half is entirely birth stories and while some of them were encouraging and interesting, I found a lot of them to be... how do I put this... slightly too "hippie" for me. I would skip the first half of the book and jump to the second where she talks about childbirth and how your body naturally adapts for the process of delivery. 3. Do Chocolate Lover's Have Sweeter Babies - highly recommend this one. It's absolutely hilarious and interesting. The author does a fabulous job of balancing the amount of science she includes with personal anecdotes. It's amazing how our decisions and choices now are already impacting our baby and future generations. Also, don't you want to read about why it's possible for men to be able to breastfeed?! Jason and I got through this one with me reading it out loud to him during our commute to work. It's written in short chapters that you can read intermittedly without needing to read the whole book front-to-back if you are only interested in specific topics. 4. On Becoming Baby Wise - if I had to pick a top book this would definitely be a contender. I had quite a few people give me both negative and positive feedback on this one. I asked Jason if he would read it as well so we could discuss it together. He was also skeptical going into it having seen reviews of people commenting that the book tells you to let a hungry baby cry until it's time for the next feeding. This is NOT, I repeat NOT at all what the book recommends or suggests. He specifcally says he does not support "hyper-scheduling", which is what the last comment refers to. He also point-blank says that you should not start "scheduling" until after the baby is a couple weeks old because in those first two weeks the baby should eat whenever he/she is hungry. He goes on to give examples of schedules throughout the baby's growth and how to transition between them at different age ranges based on your baby's specific development. Both Jason and I really enjoyed the book and its principles and have decided to try and implement a flexible "eat-play-sleep" schedule for Madi. I will say that I think it will be hard to implement this technique and find the balance that doesn't lean too much in either the direction of "attachment parenting" or "hyper-scheduling", but I think the benefits that you will reap with this parenting routine make it worth the effort. 5. Secrets of the Baby Whisperer - this book has a lot of the same recommendations as On Becoming Baby Wise. She recommends a similar flexible schedule of EASY - eat, activity, sleep, you. However, she encourages you to start immediately with this routine. Her other big take-away from the book is that your baby is a person and should be treated with respect like you would anyone else. You should give your baby a tour of the house when you first arrive and always speak to them about what you are going to do before doing it. (For example, "Madi, I am going to pick you up now and change your diaper.") Slightly odd concept to me at first, but she points out that we do not know what our baby's intellectual capacity is for understanding and how would you feel if someone just did something to your body without telling you first. Her other big point that both Jason and I really liked is the concept that "attachment parenting" gives your baby the control and teaches them thay they run the household rather than you which doesn't demonstrate respect on both yours and the baby's side. There are obviously adjustments that need to be made when this new person enters your life, but the key is finding a balance on how things are done in your household that works for everyone and doesn't short you or the baby. She also talks about specific personalities babies have and how to reverse bad habits that parents inadvertently create that begins to negatively impact them as the baby grows. If you want my thoughts/opinions about any of the other books I will gladly tell you straight-up what I thought about it. Just leave a comment below or contact me any of these other ways. Additionally, we have a list of books we'd still like to read, but that are appropriate for when Madi is a little bit older so we haven't gotten them crossed off yet. 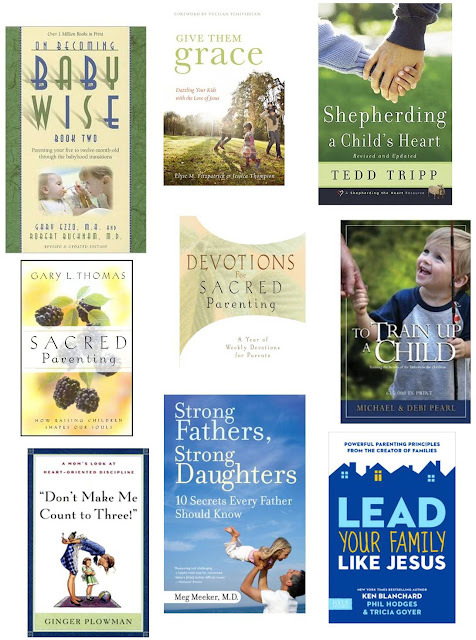 If you have any other books you'd recommend (whether appropriate for now or later in parenting) we'd love to hear them!